NativeEnergy helped a remote Alaska village develop three wind turbines that replace polluting diesel generators. 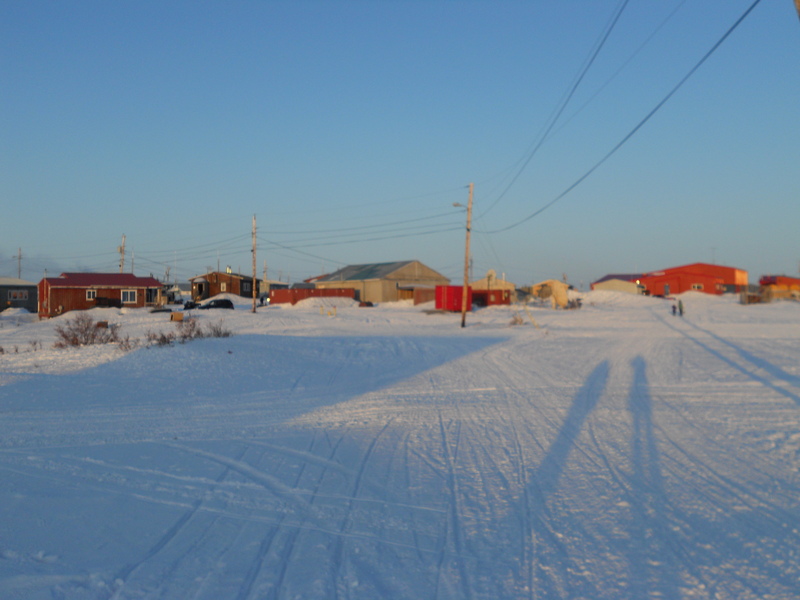 NativeEnergy’s customers helped fund a two-year operations and maintenance (O&M) reserve for three Northwind 100 kW turbines built in the village of Kasigluk, Alaska, which began operating in July 2006. Owned and operated by the non-profit Alaska Village Electric Cooperative, these three turbines produce about 525,000 kilowatt-hours per year. Every kilowatt-hour they produce means one less kilowatt-hour is generated by the diesel generators that otherwise provide power for this village. To be competitive with the diesel generators, the turbines need to be able to produce power for 15 cents per kWh or less. Because the turbines need to operate in extremely harsh conditions and are only accessible by air, weather permitting, our funding of the operations and maintenance reserve is helping avoid the significant periods of “down time” that the Coop’s prior projects had experienced due to inadequate O&M funding. As “first of their kind” projects in this region, the projects will set precedents for broader implementation. Our goal was to provide sufficient O&M funding to ensure that these projects demonstrate that wind power is economic in Alaska Native villages, and thus worth replicating. This project is a collaboration between the Alaska Village Electric Cooperative and NativeEnergy. This project’s emissions reductions were quantified using the Climate Neutral Network methodologies. Its electricity production is third-party verified bi-annually.